Stephen Maguire defeated Joe Perry by 4-2 to win PTC12, his first title in 45 months since his big win 2008 China Open. Congratulations! 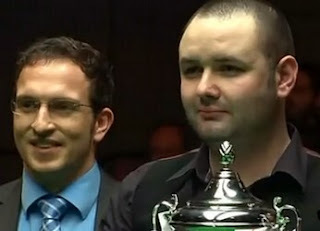 Having 0-2 down to Stephen Hendry who made 105 and 98 to clinch the first two frames in the semi-finals, Maguire managed to beat Hendry in the decider to meet Joe Perry, who whitewashed Martin Gould early the day to reach his second PTC final after PTC1, unfortunately losing to O'Sullivan at that time. With the defeat in the semi-finals to Maguire, Hendry missed to join the Grand Finals at Galway, Ireland in March. On-fire Maguire attempted maximum but the break ended at 105 in the first frame, followed by break off 77 to lead Perry 2-0. Perry pulled one back with 63 but Maguire reached the match point with 93. Eventually the Scot ended Perry's hope with 62 despite his effort of 75 to trail 2-3. Maguire won his first title in 45 months, breaking his trophy drought. "I didn't practise at all over Christmas so I didn't expect much coming here, but maybe that's the secret.'' Reaching the quarter-finals of UK Championship last month may help Maguire to find his form, "To win any tournament these days is a good achievement and it gives me a lot of confidence for the rest of the season. I'm really looking forward to the Masters next week and hoping I can get a run going." 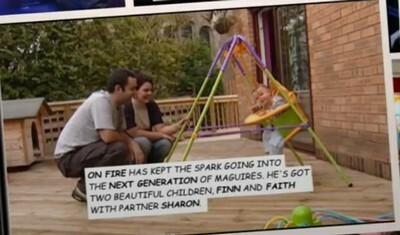 Maguire missed the Grand Finals in Ireland this year due to the birth of his baby girl last year although he had qualified. He is sure that he will not miss it again, "I'm definitely going to Ireland this time, I'll miss my daughter's first birthday but I'm sure she'll understand!" The Grand Finals features top 24 of order of merit will be staged at Galway, Ireland and runs from 14-18 March. Joe Perry 2-4 Stephen Maguire.